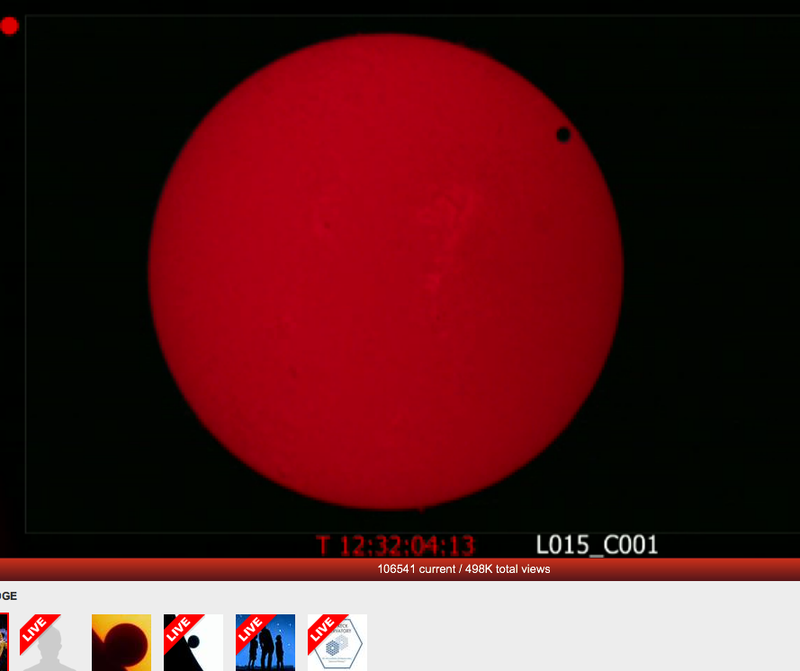 It seems that the whole world is watching the transit of Venus right now, its a strange time of day here as I am at home in Manchester and its 12.20am where the webstream from Mauna Kea via Nasa Edge’s webstream is showing 13.20pm. After several attempts to get online and connect to various webstreams I finally found the U stream site for the Astronomers Without Borders stream. I remember vividly watching the transit of Venus 8 years ago from the Godlee Observatory, again from Manchester where we had 150 members of the public and staff from Manchester University and UMIST come into the Observatory to observe the transit. We are already over an hour into the transit now where gathered round my laptop at home with family members amazed at the views coming over the internet viewed the first contact of Venus and then second contact with the black drop effect, what is especially special for me is my son’s interest this time round as he is now old enough to understand that this is a once in a lifetime event and he thinks astronomy is now (after 12 years of cajoling him to take an interest) “really cool”. He is now fast asleep as thank goodness to modern technology tomorrow there will probably be a Youtube video somewhere where he can watch a repeat of the event. Its amazing to think that only 8 years ago technology and web-streaming was not as advanced as it is today and even I could not have imagined that I would be joining thousands of people across the globe view the second transit of venus and be able to share images here on Cosmic Diary. So I’m sharing some screen shots which I have taken over the course of the transit so far.